Gaslamp | Growth Driven Design | H&C Inc. The historic Gaslamp Bed & Breakfast offers visitors to Niagara-on-the-Lake a home during their stay, with intimate accommodations and remarkable service steps from the heart of Olde Town. Opened in Spring 2018 and now accepting guests, The Gaslamp is one of Niagara-on-the-Lake’s newest bed and breakfasts, offering three private guest room that are airy, comfortable, and relaxed, yet luxurious ensure each guest's experience in Niagara-on-the-Lake is a delight. 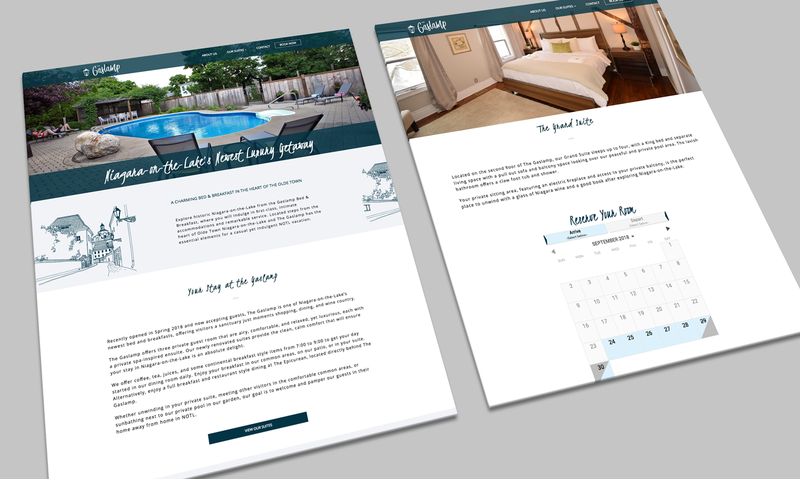 The Johnson Suites Guest House approached H&C Inc. looking to make a sophisticated entrance into the hospitality scene in Niagara-on-the-Lake, starting with a new brand identity and digital presence. 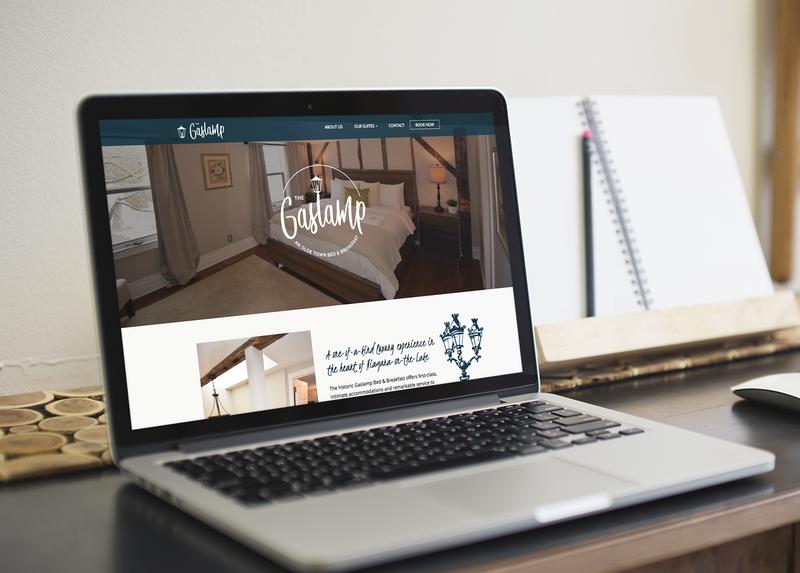 H&C Inc. undertook a full branding exercise, establishing ideal buyer personas, competitor analysis, SEO strategy, and more to create a unique identity — The Gaslamp: An Olde Town Bed & Breakfast. With a new name, new logo, and brand guidelines in place, H&C Inc. created carefully optimized content to populate a website that reflects the luxurious and sophisticated feel of The Gaslamp, fully integrated with a third party application to allow and encourage online bookings.